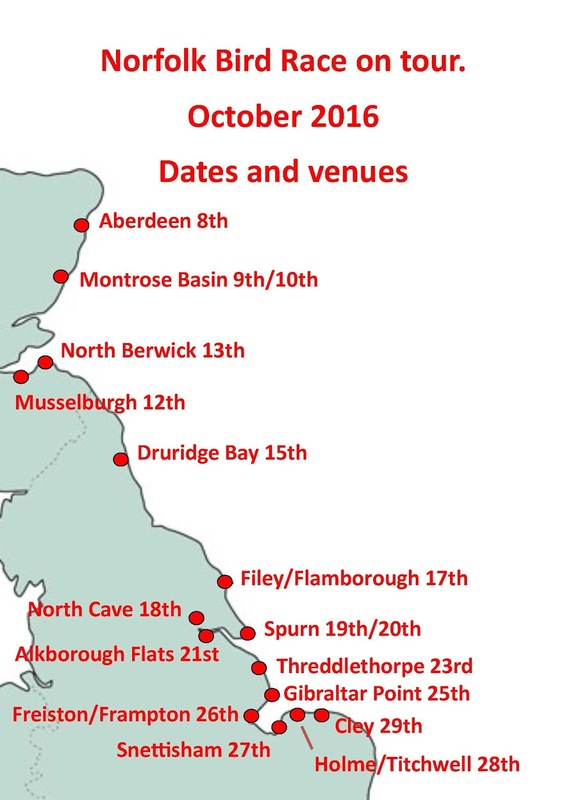 Wader Quest: Wader Quest at SOC conference and the Norfolk Bird Race on Tour; Aberdeen to Cley - on a bike! Wader Quest at SOC conference and the Norfolk Bird Race on Tour; Aberdeen to Cley - on a bike! This weekend is the Scottish Ornithological Club conference at Atholl Palace Hotel, Pitlochry. 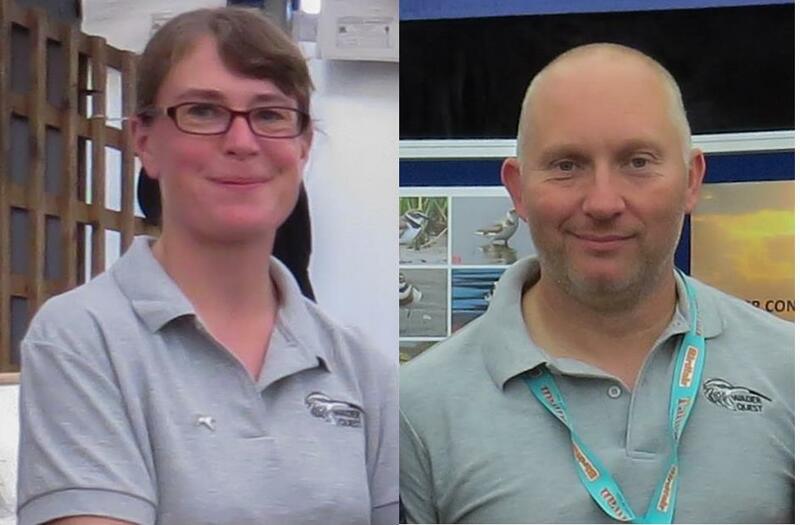 Wader Quest will be represented there by Andrew Whitelee, of Norfolk Bird Race fame, and volunteer Penny Insole, so if you are going to that event, please pop by the stand and say hello and find out more about Wader Quest from them. While there you might like to join as a Friend of Wader Quest (from only £5.00 a year! ), buy some of our wonderful merchandising (pin badges, earrings, fridge magnets etc.) and if not, simply make a donation to support wader conservation, Scotland is after all an important place for many of our waders that breed there. The theme this year has a distinctly marine feel to it and it is certain that without a healthy marine environment, many of our beloved waders would struggle to survive, so go along and support the event if you can. 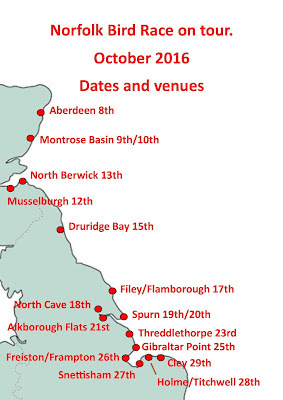 After the conference Andrew will be taking a break in North Ronaldsay,(lucky him) and then in October he will demonstrate that he has completely lost the plot by cycling from Aberdeen to Cley! This is a fund raising venture in support of both Wader Quest and The Bird Observatories Council neatly linking this year's Norfolk Bird Race and next year's. Obviously we are keen for him to reach his target of £1,000 as it will directly benefit Wader Quest but we also suggest that the Bird Observatories Council is a very important organisation to support as it works to protect and study migrating birds, including of course waders, that face such uncertain times ahead in this changing world. Your support will be much appreciated, give whatever you can. 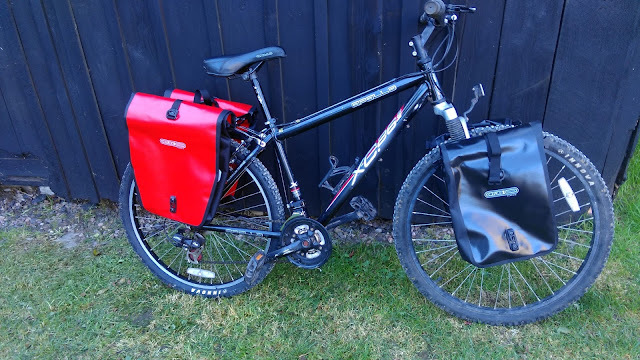 Andrew has not gone for a cushy option to support these good causes, he is going to suffer, so please make it all worthwhile for him.